Of all the mega-bands of the 20th century, the Rolling Stones were by far one of the best dressed. It's no wonder their famous rock offspring, like Mick Jagger's model daughter Georgia May, have been documented as rummaging through their fathers' closets for very chic hand-me-downs. The lucky things. This group will forever be exalted for their sound, but the adjoining wardrobe is forever etched into fashion's history books too. 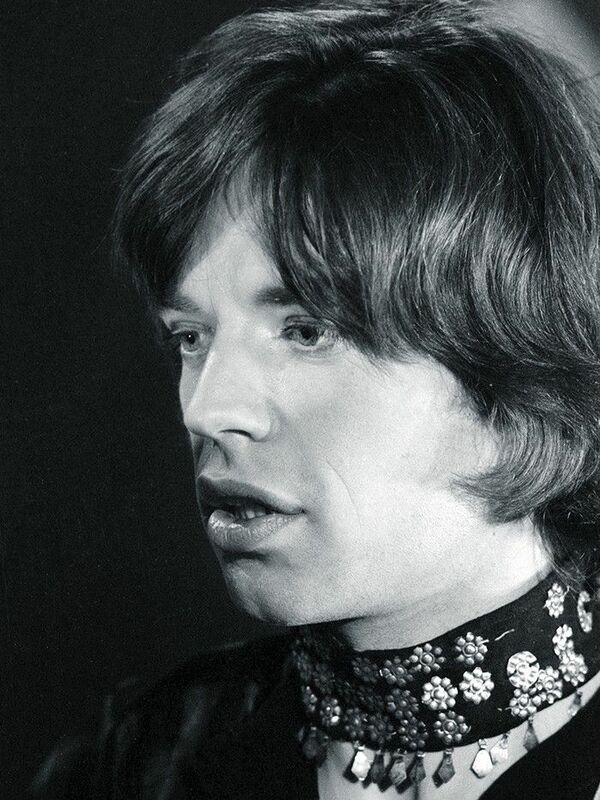 So Harry Styles may think he has first dibs on Mr. Jagger's slick style in 2016, but with the original musos now setting up their own touring exhibition—aptly entitled Exhibitionism, open now at the Saatchi Gallery in London and featuring just about everything Rolling Stones–related you could think of—a lot of other boys (and girls) are going to be plundering the archive for inspiration. Bell-sleeve blouses? Skinny scarves with everything? Velvet jackets? All very RS. In fact, all rather Gucci S/S 16. Scroll down to see what we mean, then shop a few pieces we've found in homage. Here's Mick Jagger giving good choker in 1969. The street style king before there was even street style: Here's Mick looking pretty swish in 1970s London. Where to begin? We'll start with Mr. Jagger's paisley top, please. Another Rolling Stones–style print extravaganza. Think we may take a tip from this: Wear a clashing neck scarf with your patterned shirt. Matching suits for Mick and Bianca Jagger's airport style in 1970—the pair was off to the Bahamas! What was more important—ties or hats? Striped trousers + velvet peacoats = a weekend outfit idea we could definitely work with. Statement jackets were key for the band—and key for the here and now, too!